Servicing Residential, Commercial & HOAs in the entire Oklahoma City metro area, including Edmond, Yukon, Moore and other nearby suburbs. We are fully insured for every service we perform. We are Cimarron EnvironmentalStriving to make the Oklahoma City area even more beautiful! Cimarron Environmental is a professional, locally owned & operated lawn, landscape and irrigation company. We service the entire Oklahoma City, OK metro area, but focus on Edmond, Yukon, Moore and other nearby suburbs. Our specialty services include lawn maintenance, landscape design & installation and irrigation services. All services we offer are available to homeowners, business owners and HOA & condo associations. 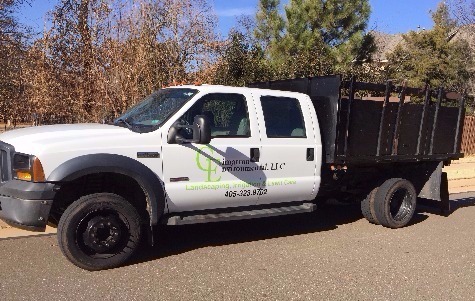 At Cimarron Environmental, our customer's satisfaction is everything. We only employ experienced, honest and hard working individuals. We are also fully insured for every service we perform. When you hire us, you can relax knowing you're in good hands. Our lawn and landscape services for your home are offered as an ongoing package or as a one-time project. Services like mowing, edging, fertilizing and other maintenance services are most effective when continously performed throughout the year. Examples of services that are common on an as-needed basis include new landscape design & installation, irrigation and sod. Make a great impression on your customers when they visit your business. The most common service we offer to area businesses is ongoing property maintenance, which includes mowing, edging, clearing of debris, trimming landscaping, snow removal and more. We also offer one-time services for projects such as new landscaping design and install or sod replacement. We maintain several communities around the Oklahoma City area. Our yearly contracts are created to meet the needs of your association. When considering our knowledge of association processes, our ability to consistently maintain large property and that we already carry all licenses and insurance, there is no doubt we are the choice for your community.